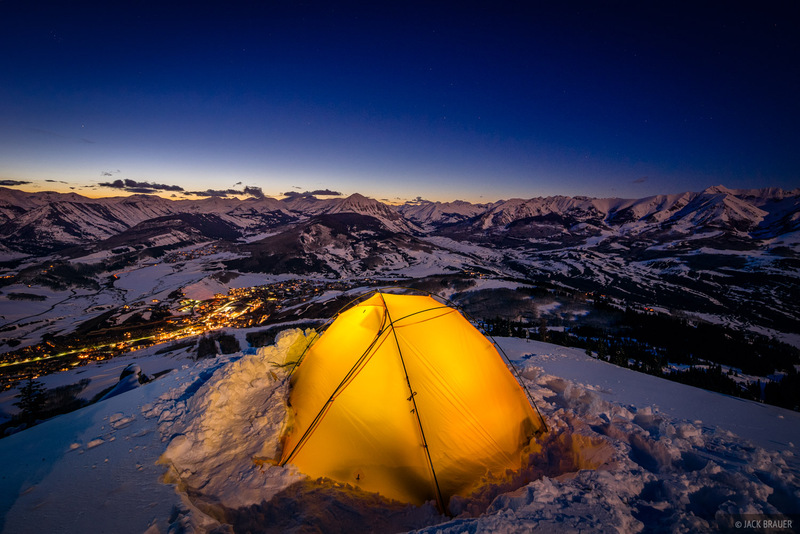 Winter camp at dusk above the town of Mt. Crested Butte, with moonrise light illuminating the Ruby Range and Elk Mountains - April. Photo © copyright by Jack Brauer.